SEPDURANCESepdurance are planetary gear driven drum winches with pulling force of up to 450 kN. The winches have very high efficiency and are permanently lubricated, which contributes to long life and trouble free operation. SEPMATICSepmatic are Sepdurance winches with an integrated spooling device which ensures excellent spooling. FORCEMATICForcematic winches, have the digital control system that ensures a constant pulling force regardless of the rope´s layer on the drum. SEPGAINSepgain are worm gear driven winches which handles loads of 40-100 kN. They provide essential and basic pulling force when the speed or versatility of a planet gear drive not is needed. 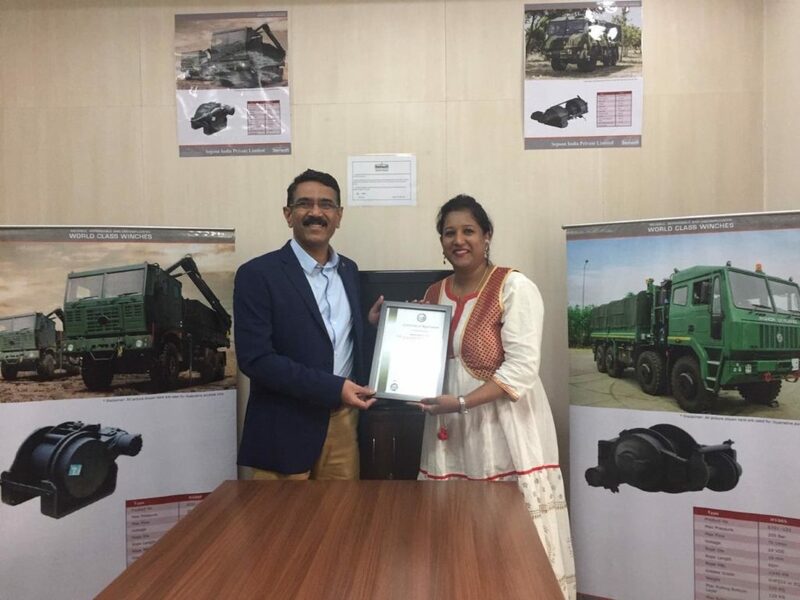 Mr. H N Ananthraj, ED & CEO, Sepson India receiving the ISO 9001:2015 Certificate from Ms. Divya J, Branch manager, URS Certification limited. 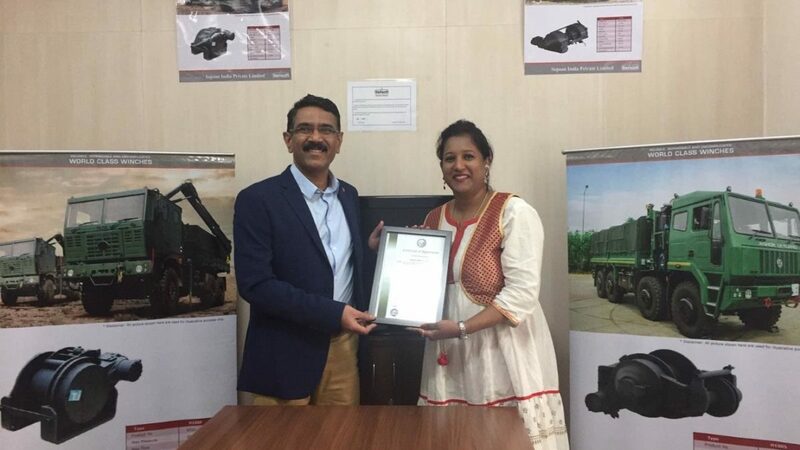 SEPSON India Private Limited, a part of 100-year old Swedish company SEPSON AB, is now certified as ISO 9001:2015 for manufacture, sales and service of vehicle mounted winches and its accessories. 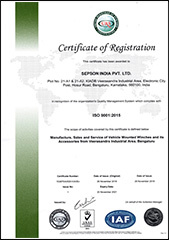 Sepson India Pvt Ltd was established in Bangalore, India with a production facility to supply Indian customers with locally manufactured vehicle mounted winches. This is in line with the “Make in India” initiative, and also provides a great platform for Sepson to expand into other markets in the region. Sepson is a market leader for manufacture and supply of vehicle mounted winches to the Indian security forces.